Chievo vs Lazio predictions for Sunday’s Serie A tie at the Stadio MarcAntonio Bentegodi. Chievo continue their hunt for their first Serie A win of the season when they face Lazio on Sunday. Read on for all our free predictions and betting tips. Chievo finished in a respectable 13th position in Serie A last season, but the 3 match winning streak that boosted their standing right at the end of last term might not be enough to save them this time around. 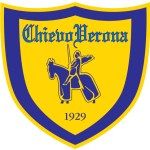 After 13 games of the 2018/19 campaign, Chievo have still failed to win a single one of them. They are only the 3rd team in Serie A history to fail to win any of their opening 13 matches, and this leaves them rock bottom of the table and already looking like sure fire candidates for relegation. They are 11 points adrift of safety and 6 behind 19th placed Frosinone, so something of a miracle is required. So far, the hosts have picked up just 4 points from these 13 games, and the nightmare was made even worse in September when they were docked 3 points for false accounting. They have lost 5 of their 7 home games in the league and have failed to score in 4 of them, keeping a clean sheet just once. 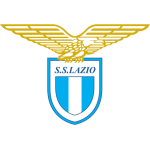 This will come as good news to Lazio, because they are in need of a pick-me-up themselves. They surprisingly lost away to Apollon in the Europa League in midweek, and that result saw the top 2 spots in the group cemented. Eintracht Frankfurt took the top spot with their win, while Lazio are left 6 points behind them but 5 points clear of Apollon below them. In Serie A they have now drawn their last 2 matches as well, and with just 1 win in their last 4 they have seen themselves slip 5 points behind Inter Milan in 3rd and some 14 points off leaders Juventus. It’s been a difficult few weeks, and a victory is sorely needed for Simone Inzaghi’s men. Lazio’s goals have dried up a bit in recent times too. They have scored a modest 19 goals in the league so far, which is significantly less than any other team in the top 5. Only 7 of these goals have come away from home too, so we could be in for a surprisingly low scoring game. Chievo have seen fewer than 3 goals scored in 4 of their 7 home games in Serie A this season, and Lazio’s 6 away matches have seen fewer than 3 goals on 4 occasions. This makes these odds for Under 2.5 Goals look very generous, so we’re backing that along with an admittedly comfortable 2-0 win for the visiting side.